Love the music of Israel Houghton? "Kingdom," the upcoming release from Covenant Worship was produced by multiple GRAMMY Award winner Israel Houghton, who also was integral in crafting the album's songs alongside the Covenant team. The album features Covenant worship leaders David Binion, Nicole Binion, Colin Edge and Josh DuFrene with guest vocals from Israel Houghton. Covenant Worship is a group of worshippers who share a focused passion to see God's Kingdom realized in the earth. Blending sounds and styles of every color, age, and genre, Covenant is a powerhouse of songwriting and music production that reflects the diversity of God's people. With powerful songs and relevant production, Covenant Worship is an outstanding source of music for the church today. 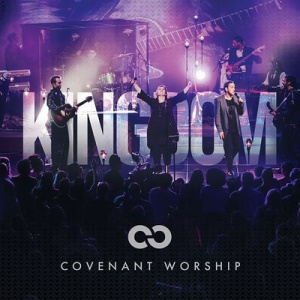 Kingdom CD by Covenant Worship was published by Integrity in July 2014 and is our 16135th best seller. The ISBN for Kingdom CD is 0000768603024. Be the first to review Kingdom CD! Got a question? No problem! Just click here to ask us about Kingdom CD. Now Playing: Jesus Reigns Your browser does not support the audio element.